Charity retailers risk alienating Generation Z by not linking to ecommerce from Insta. Brand new consumer research report specifically about charity retailers using social media to attract supporters to their online offering, reveals that charities are not making the most of these free tools available and could be missing out on revenue and awareness amongst 18 – 24 year olds – Gen Z. Research into charity retailers using social media was undertaken by retail software company Cybertill with Gen Z research run by YouGov and commissioned by Cybertill. Never before has there been so many opportunities for charity retailers to reach all demographics. Gen Z are a group who love social media, they feel part of a global community, are more socially conscious and have more in common with their grandparents than they do their parents. Charity retailers need to reach out to this generation using social commerce to gain more interaction and ultimately, revenue, from this age group. 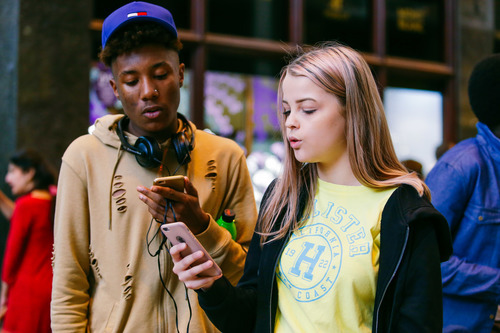 	Gen Z shopping habits: Gen Z are heavily influenced by social media and ecommerce when buying in-store fashion purchases, with 49% stating they look online before buying in-store. 	Social media generation: Instagram is very popular with Gen Z, as 31% of worldwide users are aged 18-24, along with Millennials they make up 61% of global users, but there are still 15% of charities without an Instagram account. 	Getting charities online: Not all charity retailers have an ecommerce offering, 55% of those researched are yet to open an online shop and 45% use eBay as a means of selling. But one trick charity retailers are missing out on is linking their social channels to their ecommerce URLs. 	Don’t put all your eggs into the Facebook basket: Over 90% of Gen Z who use Facebook also use Instagram, the two go hand-in-hand. Although there is still a high percentage of Gen Z with a Facebook account, they spend more time on Instagram, averaging 330 minutes per month. revenue from the 2017 Charity Shops Survey. The total sample size of the YouGov survey was 2,004 adults. This was ran on a nationally representative survey. From this, 183 were Generation Z, aged 18-24. Fieldwork was undertaken between 11th - 12th April 2018. The survey was carried out online. The figures have been weighted and are representative of all GB adults (aged 18+). Cybertill provides complete retail management solutions for multi-store retailers, brands, charity shops, and visitor attractions committed to improving customer experience. Its dedicated cloud point of sale platforms, RetailStore and CharityStore enable a real-time single view of stock, sales, and customers across all customer touchpoints including EPoS in branded and pop up retail shops, mobile point of sale, click and collect points, franchises, concessions, and ecommerce. This press release was distributed by ResponseSource Press Release Wire on behalf of Cybertill in the following categories: Business & Finance, Retail & Fashion, Public Sector, Third Sector & Legal, for more information visit https://pressreleasewire.responsesource.com/about.